Everyone has a local pizzeria which they consider has the best pizza ever, and almost everyone has an opinion on where to get the best pizza in the city. The inspiration for this post comes from just that – I wanted to compile a list of 5 pizzerias in Sydney that keep coming up as the ones to try. The twist is that this list is curated by an Italian friend Luca, who is extremely passionate about his pizza, so I’m confident that these spots wont disappoint, especially for traditionalists! Via Napoli (Lane Cove): you wont have any trouble finding Via Napoli, as there is always a massive crowd outside waiting for a table. It’s known for the 1 metre long pizzas and the extremely warm wait staff constantly charming patrons. This one is my personal favourite. There’s also a branch in Hunters Hill and one opening soon in Surry Hills. Rosso Pomodoro (Balmain): with a chalkboard announcing “No half and half. No ham and pineapple. Only Italian mozzarella. Only Italian toppings,” you know this place takes its pizza very seriously. The focus here is purely on the pizza – it’s not known to be the best ambience for a sit down dinner! As Luca’s personal favourite, this is very high up on the list. 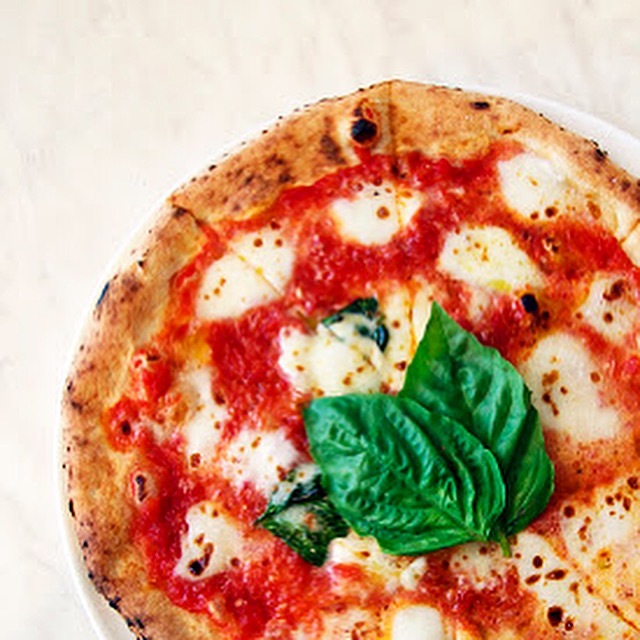 Gigi’s Pizzeria (Newtown): as authentic as they come, Gigi’s was the second pizzeria in Sydney to be accredited by the Associazione Verace Pizza Napoletana (AVPN) by proving the quality and authenticity of every detail of its production process. Lucio Pizzeria (Darlinghurst): while the service is definitely no frills, rest assured that this courtyard pizzeria keeps the spotlight on the pizza. Lucio’s is also accredited by the AVPN, so you know its authentic to its Naples roots. The pizza is on the thin side, so you may need to order more than your usual. La Disfida (Haberfield): a Sydney institution, La Disfida is an old favourite of mine, with its thin pizzas having legendary status in Sydney’s Italian precint. If you can’t make it out to Haberfield, try their sister restaurant Tappo Osteria in Pyrmont. This entry was posted in Pizza and tagged Pizza. Bookmark the permalink.